Without the benefits of a large scale IT department, many SMBs have to operate their critical software on computers that are old, slow, and insecure. myID.com has 10 real threats facing small businesses… and inexpensive or free ways to fix them. myID.com is a new service from SafetyWeb.com that protects personal information and shields from identity theft with real-time alerts. Here are the top 10 threats to business. Cisco. Sun. These are enterprise-level networking choices that are found in large IT departments around the world. The price tags, however, price small or medium business (SMB) out of the market. If these SMBs have networks at all, they may use networking devices targeted at home users. Some may forgo the use of routers at all, plugging directly into the Internet. SMB owners can block most threats by using a quality router, like a NETGEAR or Buffalo brand router and making sure to change the router password from the default. Dumpster diving identity thieves target businesses that throw out paperwork without shredding it. Most home shredders will suffice for small businesses in a pinch, but a commercial shredder is a wise investment if private information is printed and shredded daily. Individuals, especially SMB owners, often publish lots of information about themselves in public databases. SMBs are registered with the county clerk, telephone numbers are in the phone book, many individuals have Facebook profiles with their address and date of birth. Many identity thieves can use information searchable publicly to construct a complete identity. Sole-proprietors that do not take the time to file a Doing Business As application are at a far higher risk of identity theft due to their personal name, rather than their SMB business names, being published publicly. SMBs must ensure that tax returns are dropped off at the post office and refunds are collected promptly from the mailbox. Identity thieves often steal tax returns from an outbox or mailbox. SMB owners know that it is vital to balance their accounts every month to ensure that checks are not being written out of business funds by embezzlers, but many SMBs rarely, if ever, check what kind of credit accounts have been opened under the business name. Monitoring services like myID.com can alert SMB owners when new credit accounts are opened fraudulently. Many SMBs treat e-mails as confidential communications, but this is far from the case. They are available to a number of people other than the recipient. It’s more appropriate to treat e-mails as postcards, rather than sealed letters. 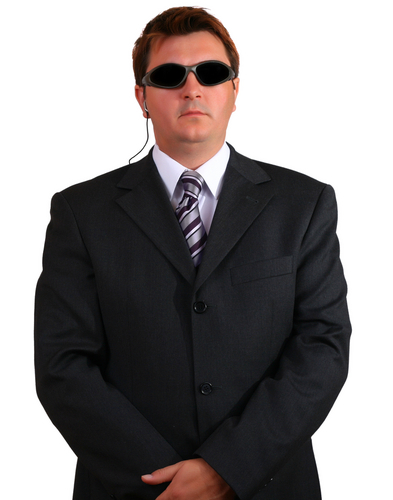 In fact, many security experts are recommending the use of a pass phrase, rather than a pass word. Pass phrases are several words long, at least three, and are far more secure than passwords. A pass phrase like “friday blue jeans” can be typed far quicker than a complicated password, and it doesn’t need to be written down on a post-it. SMBs that had their IT system professionally installed may opt to upgrade a computer or two by themselves. This is strongly discouraged on a business network, as new computers must be professionally secured or else they pose a serious threat and an entry point for hackers. Social engineers are individuals that call and claim they are from another organization. They may even claim to be with a firm that a SMB owner does business with. If someone you do not know calls on the phone, be sure that it is the person you think it is before revealing passwords or confidential information. Though property crime rates are on the decline, more than 1 in 8 households were victims of property crime in 2008. Small businesses are prone to theft and other property crime like households, because there is the perception that they are more likely to get away with burglarizing a small business than a larger business. There are many ways to protect your business from property crime, like criminal conviction checks, past employment verification, and employee education (more theft protection tips), but security cameras are often the most effective method. 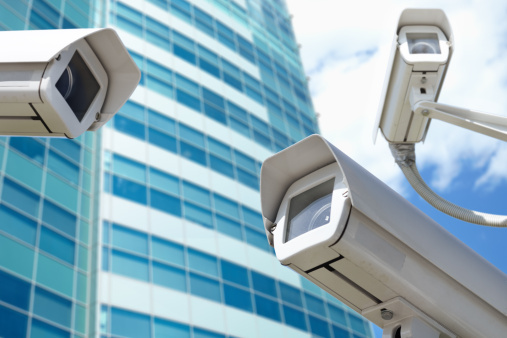 CameraSecurityNow offers surveillance solutions to businesses of all sizes. You can secure your small business with a CCTV or IP system for less than $5000. To learn more, read the full article on camera security. Carbonite has launched an online data backup service, aimed specifically at small and medium businesses. Carbonite Pro allows your SMB to back up-data automatically but without the per-PC fees other businesses charge. It’s compatible with external hard drives, priority support, and according to the company, “any office manager” can use the administrative tools. The dashboard at the heart of Carbonite Pro makes system management super easy. There, you can see important information, including the back-up status of every computer in your office, how much data is backed up and which computers are not backed up. It’s also easy to install. An automatic invitation feature allows you to invite which users you want to join and they can click through email instructions to install. You can choose to back-up your files automatically or manually. If you do find yourself in a situation that causes lost or damage files, the Restore Wizard will guide you, step-by-step through the recovery process. And you won’t lose time as you do it because your computer is still usable in the meantime. Add as many computers as you want or need to your account. You’ll receive access to unlimited phone, email, and chat tech support. Also, the program will not slow down your computer or internet connection. You don’t have to be a security or encryption expert to use it either. Just like online banking, Carbonite encrypts your files before they are copied to their servers and transmitted over encrypted lines. This means that while being stored at the company’s data centers, no one can view them. Using an online server is much safer than using external hard drives or tapes because there are no gaps that leave your data vulnerable, it can’t be damaged or lost, and you can’t lose data due to human error. Carbonite is currently offering a free one-month trial at their website, http://www.carbonitepro.com/. Simply sign up for a free account and start inviting your employees. If you like it, enter your payment information and your service will continue, without interruption, with monthly billing. How much you pay will depend simply on how many GB of storage you need, ranging from $10 a month for up to 20 GB to $250 a month for 300-499 GB of data.